Once the right commission schedule is clear for the individual contributor salesperson, the payout arrangement for their boss becomes the next puzzle. We are often asked what the sales manager commission percentage should be and how that should relate to the commission rate of the salespeople they manage. As you’ll see below, the answer is that (1) it may not be a commission at all, and (2) it might look different from the incentive for an individual salesperson in a few key aspects. How do I design and use a commission “override”? An override is a commission paid to a sales manager that works very much like the compensation paid to their direct reports, but it’s at a lower commission rate. Philosophically, an override takes the total affordable commission for a sale and splits it between the salesperson and their manager. Overrides can be problematic as a way to pay a sales manager, although they are very common because they are easy and economically straightforward, and your CFO will love the economic simplicity and direct alignment to profits. The problems arise because the manager ends up with a little “empire” of people that, if they are good, the manager will not want to have to transfer to any other division even if that is best for the employee and the company. Also, managers can get “fat and happy” on an override plan without too much accountability. A better approach is to set a goal for the team’s performance and hold the manager accountable for the attainment of that goal rather than give them a % of the total team’s sales. This may mean that the individual sales people have a traditional commission plan while the manager has a goal-based incentive. How much can the company afford to pay as a % of revenue or profit and how should that be allocated among reps and managers? How much is needed in pay at target performance to attract and retain top sales managers? It often works best to begin with the second question, which gives the numerator (“our managers need to make $100K in incentive pay at target performance”), then ask productivity questions to determine the denominator (“and we expect a good manager to generate $10M”), and the result is a starting point for a commission rate (in this case 1%). Next, check this rate against the answer to the first question and see if it lines up with what payout percent works in the company’s business model (including the cost of the commission to the individual contributor who is also being paid on the same sale). If the calculated payout is unaffordable, then it will be necessary to adjust the assumptions used to generate the numerator and the denominator. This is often the point in a design discussion where the need for change becomes clear. Often the change will be to the staffing model – maybe for $100K the manager needs to manage 15 reps each generating $1M rather than just 10 – in which case their rate would now be 0.67%. Or maybe the reps need to generate $2M each instead of $1M. Continue to check the results, factoring in the sales rep commission percentage as well as the sales managers commission percentage to ensure that your plan is both affordable and attractive to top talent. Consider a “Coaching Effectiveness” bonus whereby the manager is paid for the % of reps on his/her team who achieve target performance in their primary incentive measure. This encourages the manager to work with all members of the team to manage everyone to a higher standard (or quickly deal with those who aren’t performing). A plan based purely on an override formula can pay a manager handsomely based on the performance of one superstar on his/her team without pushing the manager to work with everyone on the team. We often recommend the inclusion of a 20% element for Coaching Effectiveness and universally they report that this is a great measure and fills in a missing link in the sales manager’s incentive plan. Your managers likely have a higher percent of typical total compensation in their base salaries (less variable pay mix) than the reps, so you may not need to pay them variable pay as frequently as the individual contributors. It’s not uncommon to pay managers quarterly when their reps are paid incentives monthly. However, this varies from industry to industry and some industries are “locked in” to paying managers monthly. What if the sales manager is also managing some accounts of their own? This is a challenging, and often frustrating sales job that sales effectiveness experts will generally suggest you avoid. 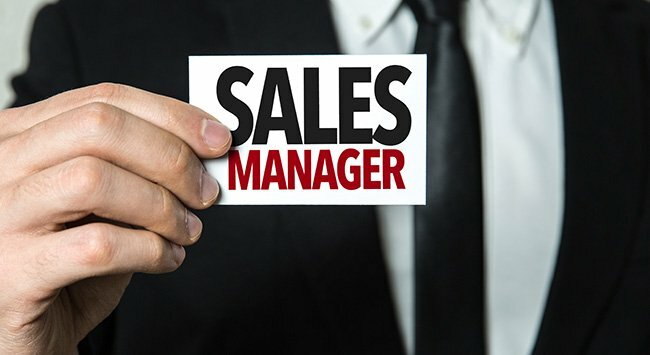 But there are times when the sales management job isn’t demanding enough to justify a full-time resource, and so the sales manager is asked to both manage other individual contributors and to also sell on their own. In this case, consider how much time the manager is spending managing vs. doing. You want to allocate his/her incentives accordingly. If 75% of his/her time is spending being an individual contributor salesperson, then 75% of pay should come from his/her individual performance (on the sales rep plan) and the other 25% should come from duties relating to managing the team (coaching).